Kinakonejiri is made from Kinako (soybean flour) as a main ingredient. It is a popular Kinako Wagashi(Japanese sweets) among wide generations and has been made since early Edo period (around 1600 A.D.) . It contains soybean-derived protein and dietary fiber. You can enjoy the healthy flavor and gentle sweetness of soybean flour. 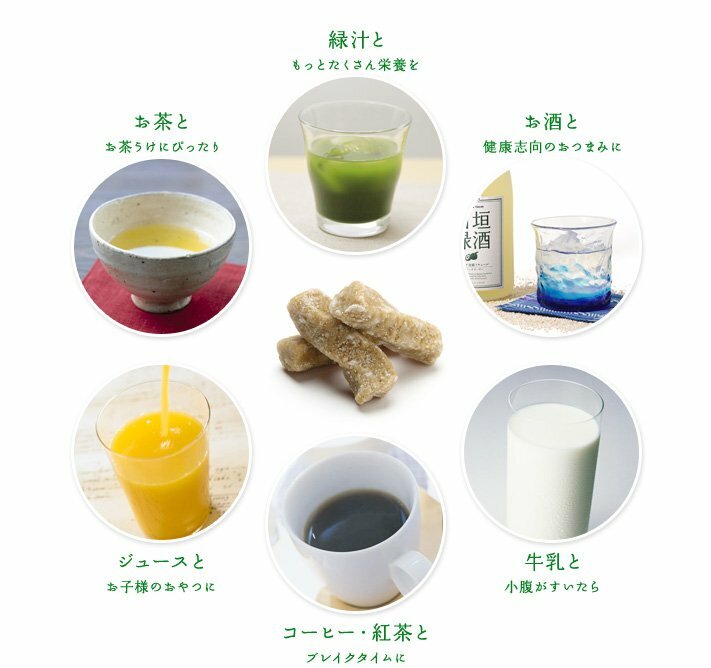 The Kinakonejiri is kneaded super nutritious euglenas(Japanese name; Midorimushi)　which have 59 kinds of well-balanced nutrients such as essential amino acids, vitamins, and so on. It is also tasty , so you can easily ingest abundant nutrients. 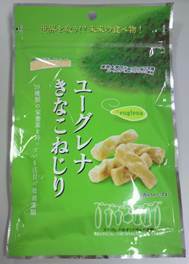 It is co-developed by a Kinako confectionery maker and a Midorimushi company which sells euglena products. This new product named “Euglena Kinakonejiri” is sold at the convenience stores in Tokyo Metropolitan Area. This product includes soybean in a part of the ingredients.